The Miami Climate Alliance is a network of organizations and individuals dedicated to creating people-centered solutions to climate change. 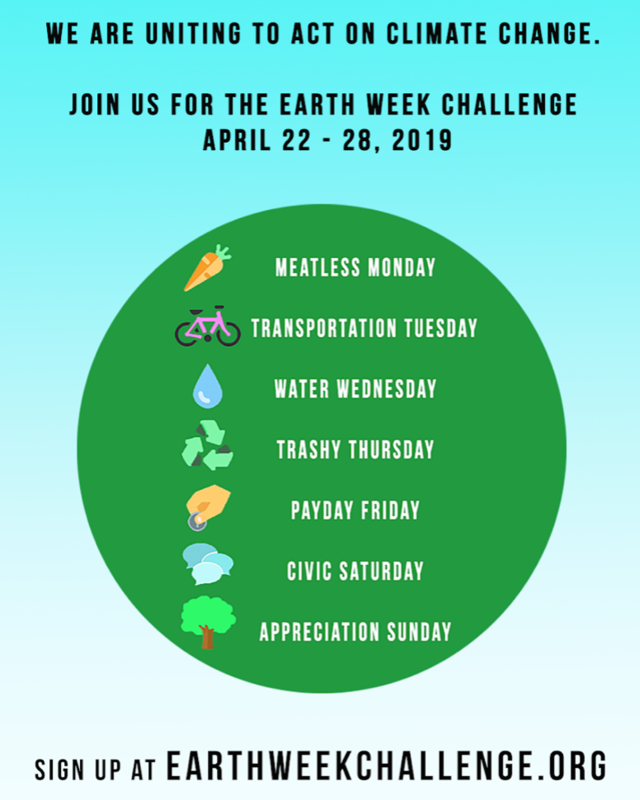 Miami Climate Alliance is excited to partner with Before It’s Too Late and nine other local organizations to promote Earth Week Challenge 2019. This regional campaign is bringing together everyday people, schools and businesses across South Florida to complete an environmental action challenge for each day of Earth Week from April 22- 28, 2019. Since its creation in 2015, the Miami Climate Alliance has built urgency, power, and cohesion around climate change and sea level rise by achieving significant policy wins and working to establish a model for just, equitable, and resilient communities. The Miami Climate Alliance’s mission is to build urgency, power, and cohesion by activating the Miami community through strategic actions that recognize climate change as a threat multiplier to all forms of justice, especially for low-income frontline communities, and to create a model for just, equitable, and resilient communities in the face of climate change by achieving substantive wins that will increase the wellbeing of Miami residents in both the present and future.